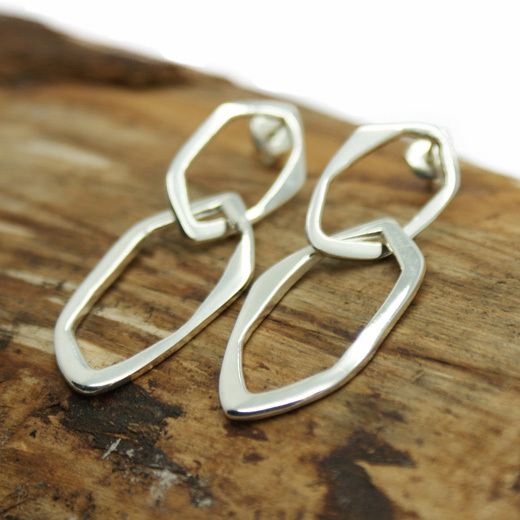 A pair of stunning intertwined hexagonal style earrings from Tego. 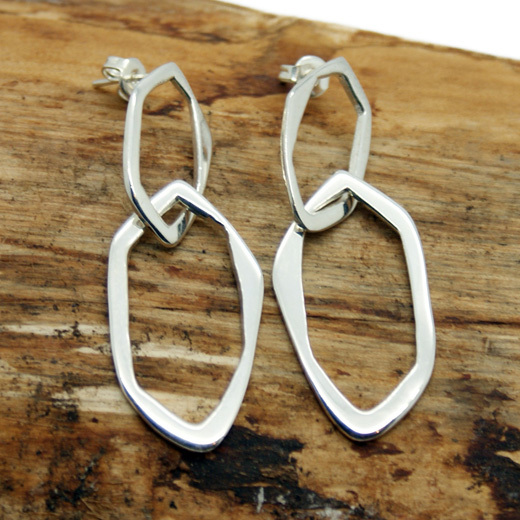 These pretty handcrafted hexagonal drop earrings have a solid outline and are finished with an ear post fixing. 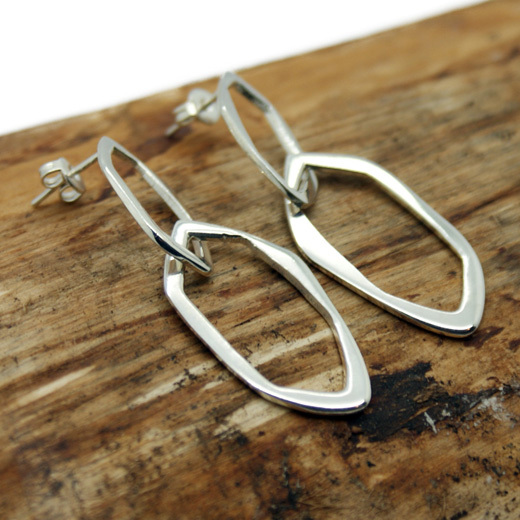 They are made of highly polished plated silver and are suitable for day or evening wear and any occasion. We have bracelets to match these earrings on this page. Not exactly what you are looking for? We have a wide range, see the womens silver plated earrings gallery for other options.